Fundamentally, African Religions have exercised varying degrees in the belief in God: This is the Supreme Being, whom they have accorded the titles of Master Architect and Chief Builder of the universe and its anti-verse. This God is also responsible for creating humankind in all its beauty and ugliness. This definition has wide ramifications for the disciple of Vodu. 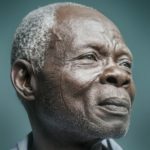 First, by ‘Sustain,’ the Vodun traditional text stresses the acknowledgement that without hunger or thirst, or even without the fear of dying, one cannot speak of sustenance. In this regard, the Vodu principle invokes a long standing tradition in African religions to invoke a subject while still highlighting the anti-subject that it accompanies. Thus, one cannot speak of sustenance without the lack thereof. Nor can one speak of good without speaking of evil; or the universe without the mention of the anti-verse; or matter without anti-matter. Nor the body without the soul. Even man cannot be mentioned without the woman. These guiding principles are not without exception however. There is one and one alone – God, the Supreme Being. He, in Vodun, does not have an ‘opposite’ or an anti. God is a composite of both male and female, creator and destroyer, builder and demolisher, powerful and weak – good and evil. From this composite stems the components of the universe and the anti-verse. That within either one, a Vodun devotee will find evidence of the reflection of one in the other – both sides of the same – justice and injustice; man and woman, misery and joy. This guiding principle in Vodun has been preserved for more than 7,000 years. In fact, the Principles of the Ankh of Kemet sheds a similar light on the subject. It prescribes entities such as Infinity (Heh) while still underscoring its opposite, Nothingness (Hehet), and Nwn (Dark Radiation) with its opposite, Nwnt (Anti-Matter). Further, our ancestors’ writings show that Kemet knew of only one creator though they acknowledged several names. These writings point to the well documented fact that this creator [Only One] arose out of the Primordial Ocean in which laid the Principles of the Ankh. 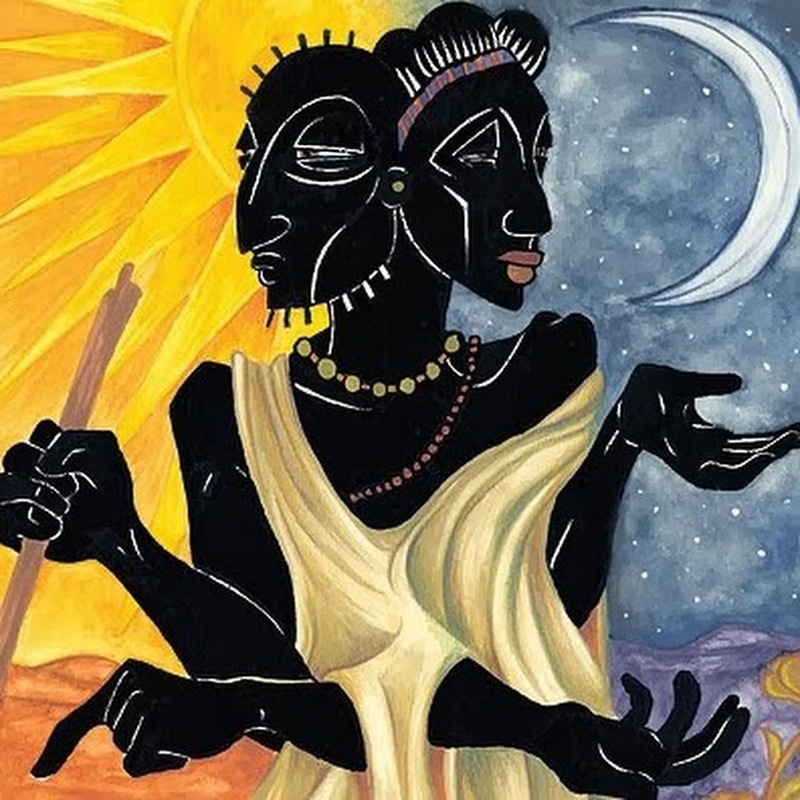 In spirit, the Vodun principle that calls attention to the philosophy about the word ‘sustain’ in the verse of the Cults of the Legba above, is most genuinely and even more generally, a Principle of the Ankh. Therefore, taken together, if these principles sustain life, then by interpretation, the Ankh, like the Legba that came after it, is God, or a God, however it pleases the reader or the believer. Still, by taking the text together in order to appreciate its meaning: “The Hand That Sustains You, Is Your God,” must be appreciated in such a way that the definition of ‘The Hand’ may not be misconstrued with an equation with God. ‘The Hand,’ rightly implies that it is God, if and only if it ‘Sustains You.’ The opposite is not true: ‘God’ does not imply ‘The Hand’ that Sustains You! These rigid interpretations are religiously entrenched in Vodu. No exceptions are made, for the Vodun Theologist insists that the veracity of the logic is maintained at all times. No flexible or varying bounds are permitted. Why? The interpretations have resounding consequences. First, just by saying ‘something’ is a God, does not mean that it will ‘Sustain You.’ However, whatever ‘Sustains You’ is in fact, your God, or taken cunningly by any flexible reconstruction of the logic, whatever sustains you, is in fact, one of your Gods. This means (1) it is a God if it sustains and that (2) it is not a God if it does not sustain. That is, the River, the Stream, the Pond and The Lake with all its fishes and plankton, and even more important, the water they hold, because they are sustaining, are Gods! The Forests, and all the vegetation and animals they hold to sustain us, are Gods. The Sea, is a God. The Sun is a God and so on. By implication, Vodun worshippers, like their ancestors before them name, revere and worship the Gods of the Sea, the Forests, the Rivers, and so on. Even more granular, African religions dictate absolute respect for animals and their associated spirits even when they are being killed for food. There are strict Vodun customs and rituals specifically dedicated for hunting, fishing and the killing of animals for food. Unlike the Queen of England, her followers and her religion, Vodu and several of Vodu religious renditions in Africa, make no exceptions for killing animals for sport! Still yet, why does destruction occur – where farm animals are killed by some natural disaster, say bushfires, or trees fall in the forest under a storm and kill wildlife? Incumbent on the definition of God as the exception to the principle of duality invoked by the Principles of the Ankh or the Legba, are debatable explanations. No doubt. More disquieting is one such explanation. That God is both good and evil, which by definition satisfies all inflectional forms of the logic of the lexeme defined above. This is a difficult implication of a vital principle of Vodun that patently undermines other religious interpretations of life and God. In particular, Christianity, even from its African origins deviates from Vodun tradition primarily for this reason. And so is Islam too. In a bid to explain away the seeming polarities of Good and Evil, these Judaic religions have done away with any connection between the two. That is that, God is always God. By implication, Satan is invoked. Vodu however maintains God, the Supreme Being as all encompassing, capable of sympathy and yet capable of punishing. That He is the creator and the Destroyer. That He knows best. This theological observation does not in any way rule out the possibility of the natural order of things – the dictates of physical law – running nature down to chaos. That would be another discussion. But the primacy of the implicit quintessence of God as a composite begs this instantaneous question at the least: How do Vodun worshippers circumvent God’s wrath? Or plead with Him? The answer hearkens back to the guiding principle: “The Hand That Sustains You, Is Your God.” Followers of Vodun look to their Gods, the same Gods that sustain them, and plead with them to intervene on their behalf with the Supreme Being. Hence, Vodun separates the follower from the Supreme Being through the Gods, the Spirits and the Spirits of the Ancestors. These Gods, Vodun followers believe that since they are sustaining, would always look out for them. These Gods intercede on behalf of Vodun worshippers and they restore Maat – yet another guiding principle that needs its own chapter. Assuredly, the world could essentially be a better place – without the pollution; without the global warming; without the Queen of England or the Christopher Columbuses and their religions – if we could come to believe that the planet that sustains us, is sure, our God! Rooted in African culture and tradition – clearly. Clever and quite cheeky too. This piece is instantly edifying. But it speaks to broader global challenges as well, if you can read between the lines. I understand the Pope is in NYC, DC and Philadelphia. I have heard he has spoken of the Environment as a person. Invoking personhood for the Environment is not a novel idea. Where has this Pope been. He needs to read on African religion. I hear he met with religious leaders as well to discuss the challenges facing the world on global warming and income inequality. Not one African religion was represented. Again, these people don’t respect us. Let us stop respecting them. Let us stop admiring them and begin admiring and respecting our own stuff. Narmer puts the Pope’s supposed environmentalism to shame here. What he feels he’s proposing, Africa has already done. If only they paid attention, the world would have been in a better place by now. I grew up being taught from the school of western religion. As I grew up the teachings appeared weaker and weaker even to the point where I have completely abandoned them. Even before reading this article, my intention has been to look back to the teachings before things became corrupted. I am very impressed by the ideas discussed in this article. Can you provide some details, books, etc… where I can learn more?